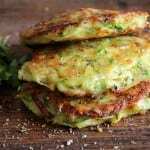 Zucchini Patties, one of the best ways to use up summer Zucchini, fast and easy, onions, parmesan and spices make these so deliciously tasty, the perfect appetizer or side dish. We are finally having some cooler weather! No more 40 to 45 and humid as heck but some low 30’s. I really don’t care how hot it is in the day as long as I can sleep at night, and yes I have been sleeping the last couple of nights. What an amazing blissful experience! On another happy note, you will be pleasantly surprised to know that this will probably be my last zucchini recipe of the summer season. I have Baked it, Grilled it, I have made it with Pasta and turned it into a Dessert Loaf. And now they have become Zucchini Patties. So goodbye to the do-all-veggie of the summer. Until next year when you take over my garden once again! I have to admit though this is one of the best recipes for any of those bigger zucchini that you may have hanging around. Believe me we have a few of our own. How many have we discovered hidden under some of those huge zucchini leaves. There are always a few that get away from us! But don’t despair, no need to throw them away. Just shred them down, toss the ingredients together in a bowl, add a little olive oil to a frying pan and add a heaping tablespoon full to the pan. 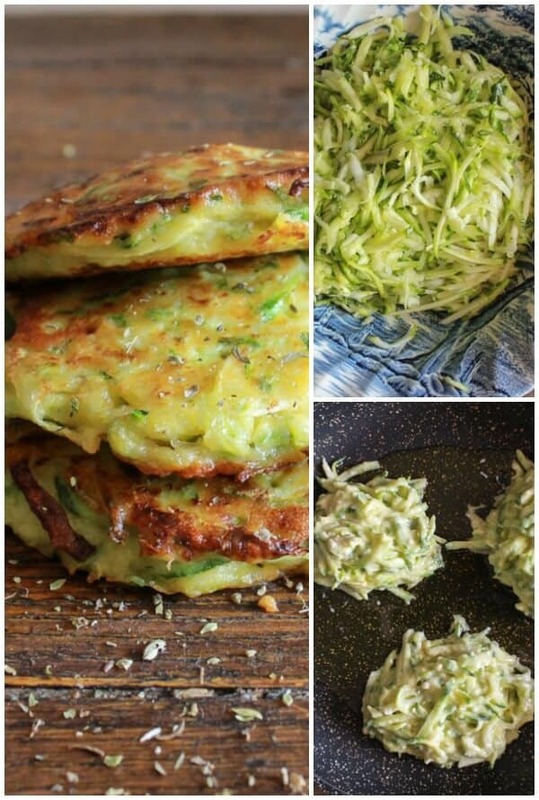 Cook until browned on both sides and there you have easy, healthy, and delicious Zucchini Patties. If you make them small enough they could become an easy appetizer, bigger they become the perfect quick, weekday meal, serve with a little dipping sauce, a simple mayo and fresh chives mixture and a tasty Side Salad and there you have it. Buon Appetito! 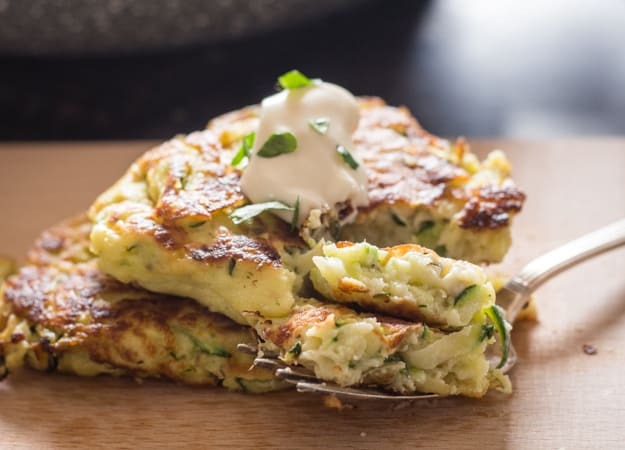 Zucchini Patties, a delicious, healthy, easy recipe, the perfect side dish, appetizer or even main dish, a yummy way to add some veggies! In a medium bowl mix together all ingredients except for 1-2 tablespoons olive oil. In a medium to large frying pan over medium heat, heat 1-2 tablespoons olive oil. Drain on a paper towel lined plate and serve. Enjoy! Drop a heaping tablespoon full of the zucchini mixture, cook until browned on both sides. Drain on a paper towel lined plate and serve. Enjoy! I made these tonight and even my picky teenager loved them! The recipe made 6 palm sized patties & I added fresh jalapeno for a little kick. It was pretty tasty! Thanks for sharing! Hi Shea, thanks so glad your teenager loved them too! These are GOOD, GOOD, GOOD! They fit perfectly into my low carb diet. A definite 5 stars. Hi Deborah, thanks so much, so glad you enjoyed them. I feel like I’ve eaten zucchini ALL summer as well! But, it was all absolutely delicious! These patties look good! 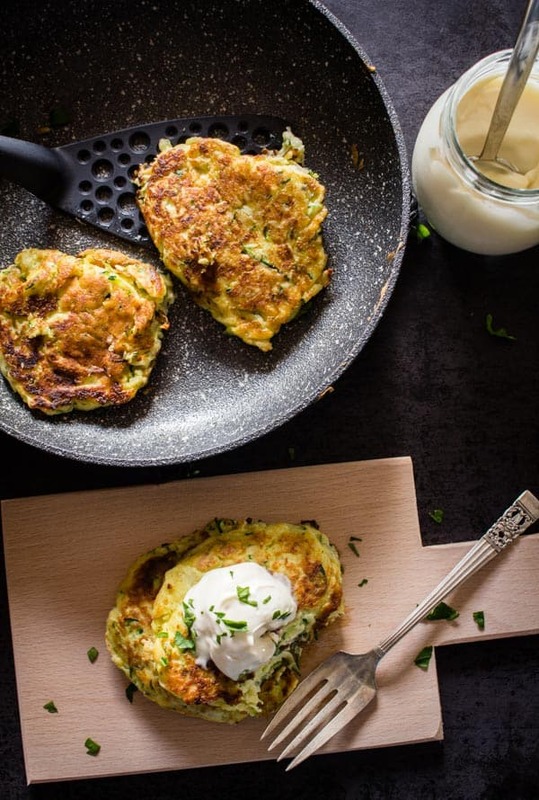 My boyfriend introduced me to ‘zucchini pancakes’ when we first started dating — very similar to these! Yum yum!! IMade these for dinner tonight. Excellent use of zucchini. We loved it! I will make them again when the family is here for dinner on Sunday. Because my garden is more full of tomatoes than zucchini, I placed the cakes on top of large slices of vine ripened heirloom tomatoes. It just added a wonderful flavor dimension. Hi Denise, thanks, glad you enjoyed them, I have so many tomatoes now too! Heirloom tomatoes are gorgeous I will have to get some seeds for next year. Have a great day. Yum, I’d love these alongside your meatloaf! I can’t wait to make these! Hi Renee, thanks hope you enjoy them. I can never get enough of zucchini. These patties look amazing. Thanks for sharing. Frankly, I’ve yet to tire of zucchini.I think of he dreary winter months where fresh veggies are hard to come by. 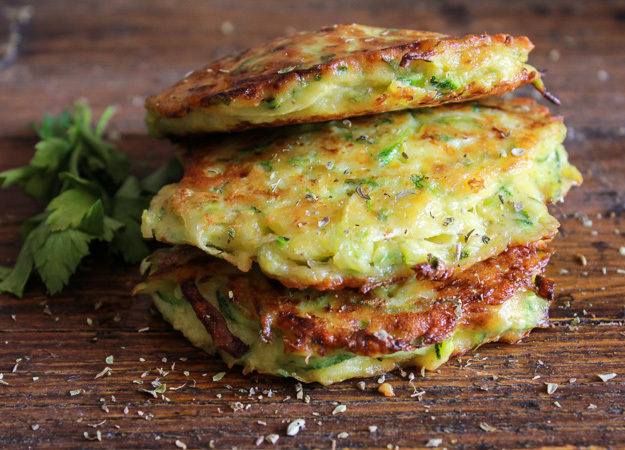 The zucchini patties would be a great addition to any meal. Thank you for sharing. These look delicious!! I will be trying these soon. Zucchini is probably my favorite vegetable. Thanks for another go post, Rosemary.